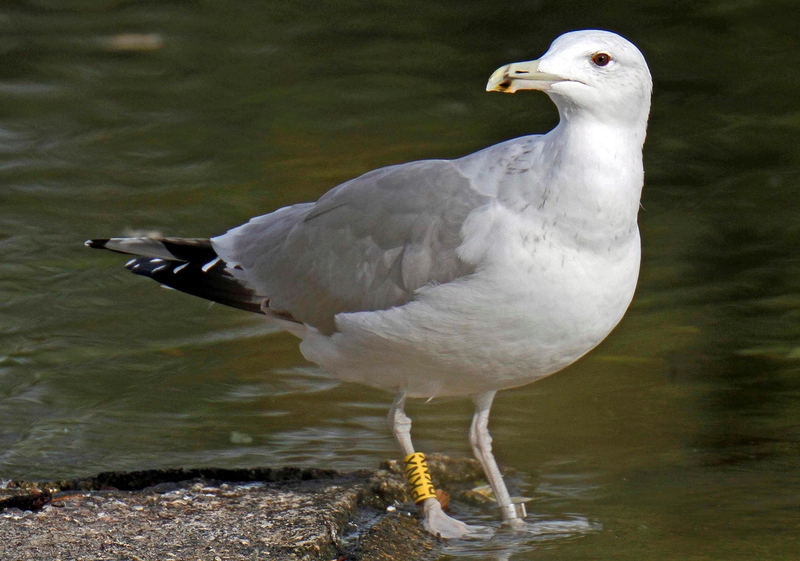 Larus cachinnans 1CY-4CY PKNX December 2012 - October 2015, France & Poland. Picture: Liliane Rogon, Patrick Fontaine, Janusz Wójcicki & Alain Fossé. 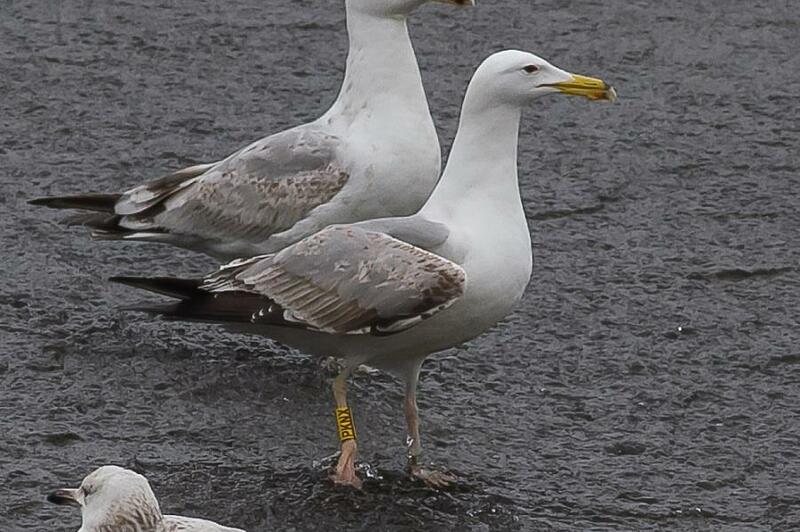 Yellow PKNX, ringed as pullus on May 25 2012, at Kozielno, Paczkow, S-SW Poland, (50°28' N, 16°58' E). 25·5·12 - réservoir Kozielno, Paczków, Poland. 15-18·7·12 - Arnhem, the Netherlands. Distance: 786 KM. 4·12·12-18·3·13 - CET Champteussé-sur-Baconne, France. Distance: 1318 KM. 29·4-2·5·14 - Nysa, Poland. Distance: 25 KM. 13·11-20·12·14 - Gennevilliers, France. Distance: 1066 KM. 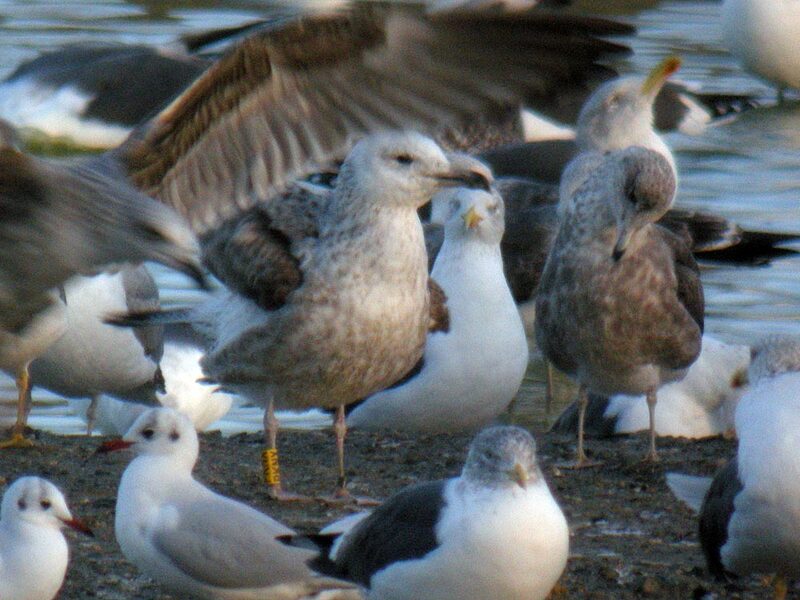 below: Larus cachinnans 4CY PKNX October 23 2015, Gennevilliers, France. Picture: Liliane Rogon. Plain grey greater primary coverts, much adult-like now in 4CY. 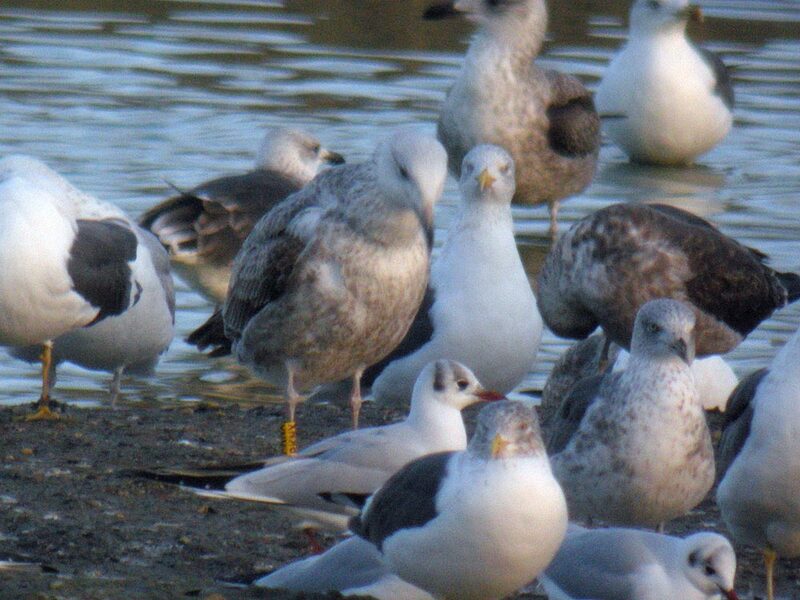 below: Larus cachinnans 3CY PKNX November 13 2014, Gennevilliers, France. Picture: Patrick Fontaine. Large mirror on 3rd gen P9 and P10. 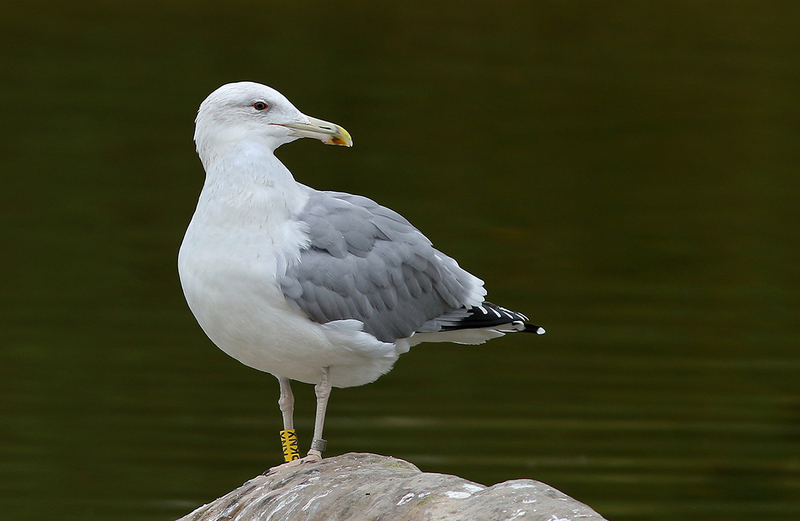 Only few markings on primary coverts and in tail. 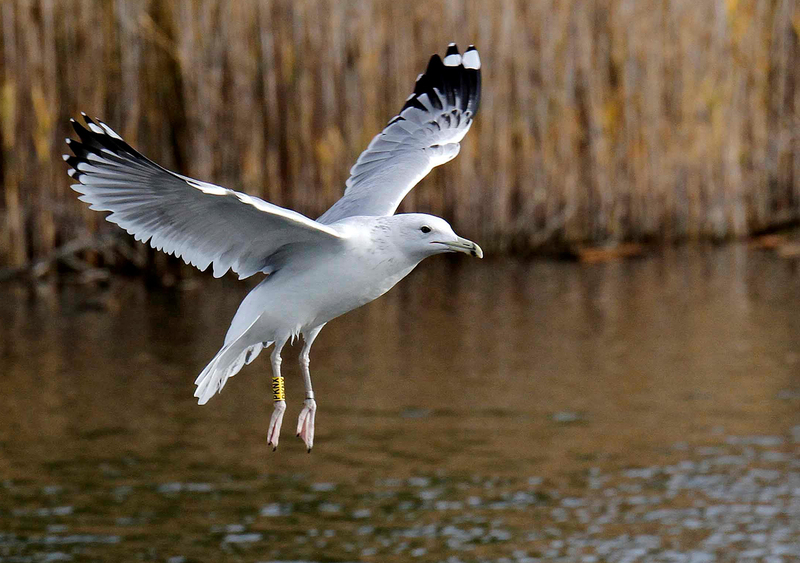 below: Larus cachinnans 3CY PKNX April 30 2014, Nysa, Poland. Picture: Janusz Wójcicki. At only 25 km from the hatching colony. 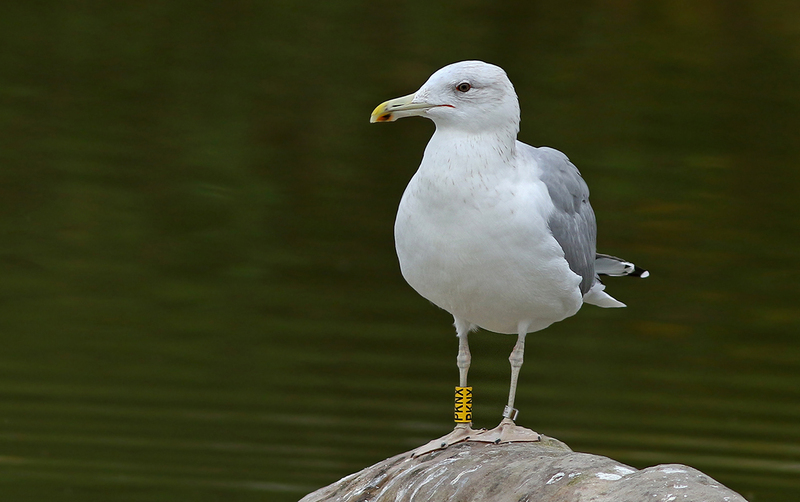 2nd gen flight feathers and bird in 'summer plumage'. P1 still present. 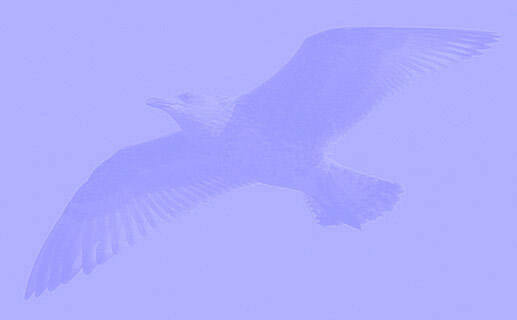 below: Larus cachinnans 1CY PKNX December 04 2012, CET Champteussé-sur-Baconne, France. Picture: Alain Fossé. Inner coverts replaced. 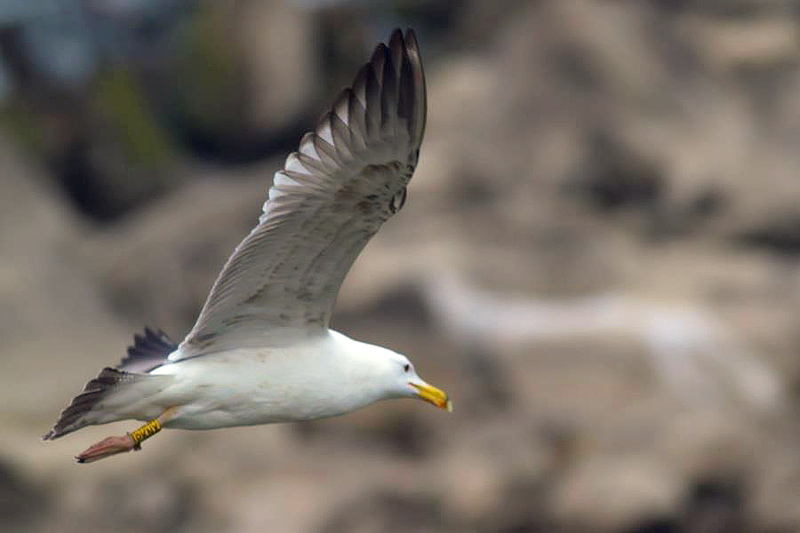 Mottled on underparts.